Located in southeast London, Lewisham is one of the boroughs which make up the English capital. As part of Inner London and with a population approaching 300,000, the property market in the area is very strong. At My Home Move Conveyancing we’ve been developing our knowledge of local markets like the one in Lewisham since 2001, enabling us to bring our clients in the area an outstanding specialist, fixed fee conveyancing service. When you buy or sell property in Lewisham, you must instruct property lawyers to carry out the legal work on your behalf. 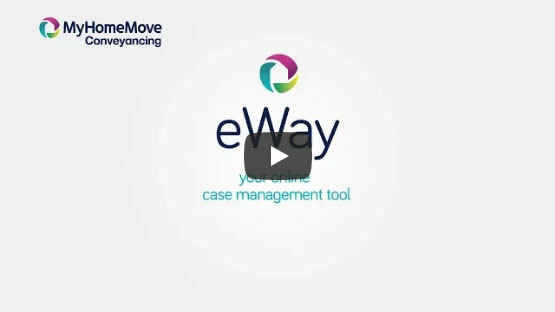 My Home Move Conveyancing offers our clients in Lewisham an award winning level of customer service, innovative use of technology and intimate knowledge of the local market. Our conveyancing service is both professional and friendly, and comes with no hidden extra costs to worry about. You can budget for exactly how much you’re going to pay from the outset when we act as your Lewisham conveyancers, and if you don’t end up completing for some reason, you won’t have to pay us anything in legal costs. We’ll assign you a dedicated conveyancer who’ll take care of all aspects of your case from start to finish, providing you with a consistent point of contact and regular updates on your progress. At My Home Move Conveyancing we get things right first time round, which helps us to achieve more completions per year than anyone else. We provide our conveyancing services in Lewisham to house hunters looking for homes close to one of the boroughs public transport stations and in neighbourhoods such as Deptford, Forest Hill, Crofton Park and Brockley. The average house price in Lewisham is £419,005, while the overall average sale price during the past 12 months was £431,584. Most sales in this period involved flats which went for £341,631, while terraces fetched £617,268 and semi-detached properties £762,478. Lewisham was formed as a borough in 1965, with the River Thames forming part of its northern boundary. The borough is divided into 18 different wards, and borders Greenwich to the east, Bromley to the south and Southwark to the west. Despite the borough being mostly urban, there are still a number of green spaces to enjoy, including Mountsfield Park, Downham Fields and Beckenham Place Park. It’s the proximity to central London which makes Lewisham so popular to live in though, and there are great transport links for getting into the capital. Although there aren’t any tube stations in Lewisham, there are plenty of overground rail stations which provide quick and easy access to central locations. If you’re the active sort, there are two Cycle Superhighways which run through Lewisham. There’s also a good selection of schools to choose between if you have children to think of. Primary schools in the borough include Deptford Park Primary, John Ball Primary and Hazeltine Primary, with Forest Hill School, Deptford Green School and Sydenham School among the the secondary options. Lewisham Southwark College and Christ the King Sixth Form College provide further education in the borough, while Goldsmiths, University of London is in Lewisham and the capital’s wide selection of universities is also on the doorstep. All properties in Lewisham will fall within one of the following council tax bands.